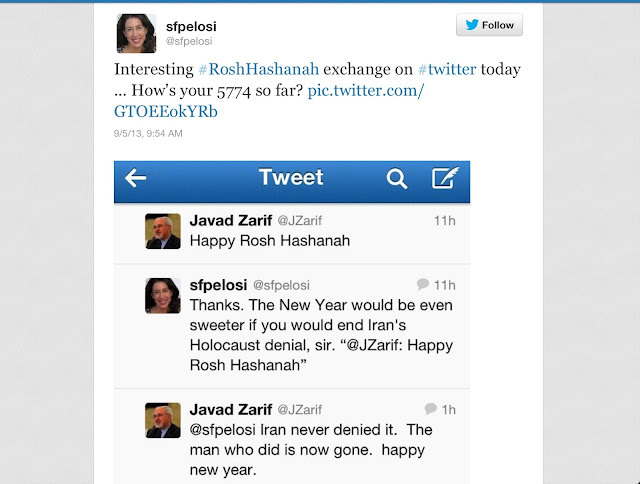 Look at this idiot who thinks that by kissing Jew asses he can get the sanctions lifted. How pathetic. This shows you exactly how to deal with Iranians, beat them down until they beg. This hypocritical regime has always secretly got on well with their "enemies" the US,Britain and Israel.Proof of this is when the VOA and BBC always bring in regime agents who are members of the "green movement" or who have like Akbar Ganji supposedly been "jailed" in Evin prison (the hotel wing) and then planted in the West to frustrate the real opposition against the regime. I hope he would not get rebuked by the reactionary Mullas. He is reflecting the views of an overwhelming majority of the Iranian . "We condemn the massacre of Jews by the Nazis, and we condemn the massacre of Palestinians by the Zionists." "We have nothing against Jews and Judaism, but we do not allow Zionists to present Iran as being anti-Semitic and bellicose in their propaganda so they can continue to repress the Palestinian people... and have their crimes forgotten." J.F so what is the big deal? ?-poor fellow-nothing educative to give!! you bring the good hanging practices which are human to you!! right?